Recently, Chinese and French scientists led by Wang Yongdong, professor at Nanjing Institute of Geology and Paleontology of the Chinese Academy of Sciences, researched new fossil wood of Ginkgo biloba. 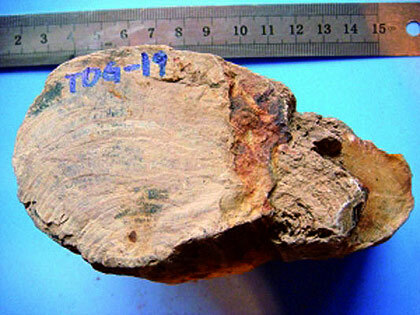 The fossil wood (Ginkgoxylon liaoningense) was collected from the Tiaojishan Formation in western Liaoning, northeastern China. It probably dates from the Middle to Late Jurassic. 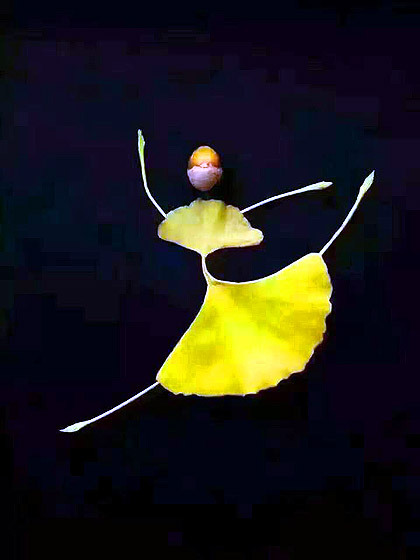 According to the researchers this discovery represents the oldest well-dated occurence of Ginkgo wood. 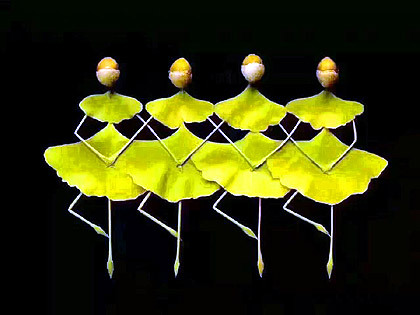 Its anatomy departs slightly from that of modern Ginkgo, it displays all its characteristic features. It differs only in having a more mixed type of radial pitting, which also occurs, albeit locally, in modern Ginkgo wood. The xylem structures of Ginkgoxylon liaoningense illustrates the basal state of Ginkgo wood anatomy and will contribute to the understanding of Ginkgo evolution. Jiang, Z. et al. A Jurassic wood providing insights into the earliest step in Ginkgo wood evolution. Scientific Reports 6, art.no. 38191; doi: 10.1038/srep38191 (2016). fossil Ginkgo wood on my Fossils-page. Washington University in St. Louis, Missouri has several Ginkgo trees growing on its campus. Well-known is its Ginkgo Walk, that became the inspiration for WashU former professor Howard Nemerov to write his famous poem The Consent; he loved the Ginkgo Walk. The path leads from the Brookings Quad to the rest of the campus - and directly to Olin Library. More on my blogpost of September 22, 2011. Oliver Sacks wrote about this poem in The New Yorker of November 24, 2014: Night of the Ginkgo. On this video WashU students read Howard Nemerov’s poem. Please do not read the video subtitles (incorrect), but read the correct text + more info on my website. 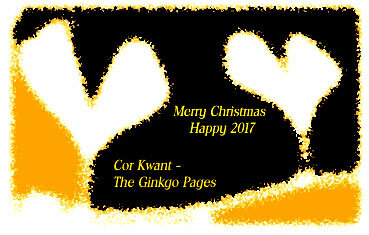 * New topic: Complete genome sequence of Ginkgo decoded. * New photo on Photospecial page: Fallen Ginkgo leaves + poem by Howard Nemerov.